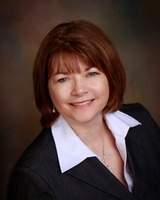 Wendy Mara is an attorney practicing in Ormond Beach at Mara Law, P.A. where she focuses on protecting you, your family, and your assets in the areas of Family Law, Probate, Guardianship, and Estate Planning. Ms. Mara earned a BA from Stetson University, her MBA from the University of Central Florida, and her law degree from Florida Coastal School of Law. She has consistently received top ranked reviews on Martindale Hubbell, Lawyers.com, AVVO, Linked-In, Facebook and Google+. Ms. Mara has served as a leader in multiple organizations in her community. She is a member of the Board of Directors of the Ormond Beach Chamber of Commerce (“OBCC”), past chair of PACE Center for Girls, Volusia-Flagler, past President of the Volusia Flagler Association for Women Lawyers (“VFAWL”), and President of the Volusia County Bar Association. Ms. Mara volunteers with the Junior League of Daytona Beach and with Community Legal Services of Mid Florida assisting pro-bono clients. Ms. Mara was chosen for the Leadership Award in 2013 from OBCC. In addition, Ms. Mara was named the VFAWL “Woman of the Year” in 2015 for her work on behalf of women and girls. Ms. Mara is AV rated by Martindale Hubbell and was named as a Rising Star Super Lawyer in 2016 and 2017 which is an honor held by less than 2.5% of Florida attorneys. Ms. Mara has six children, two grandchildren, and resides in Ormond Beach with her husband Robert.